It's 1:30pm in the afternoon. I am awoken by a friendly FedEx worker at my doorstep with 'the goods' under his arm. 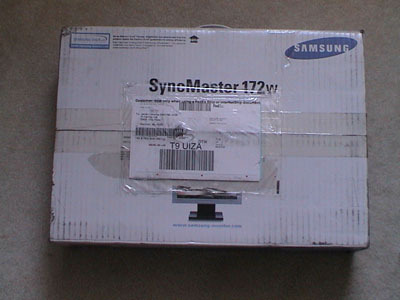 Guessing by the Samsung logo and the letters S-y-n-c-M-a-s-t-e-r 172W on the package that this could very well be the monitor I had been dying to receive. I very carefully cut the packaging tape, opened the box, and pulled out its contents. The monitor and it's accessories were well secured in the box. Inside I found the following items: The monitor, Analog RGB input cable, DVI (Digital Video Input) input cable, mounting plate with screws, power cord (it comes in two parts that connect together), sound cord (used to connect your sound to the monitor's base speakers), and the driver software. 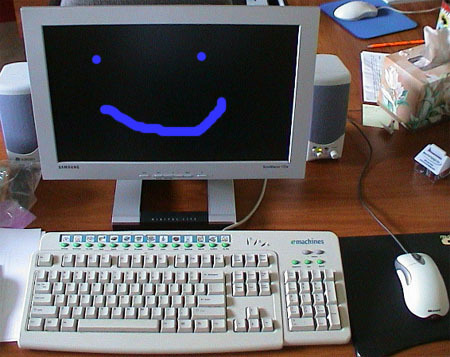 Setting up the monitor was a breeze. 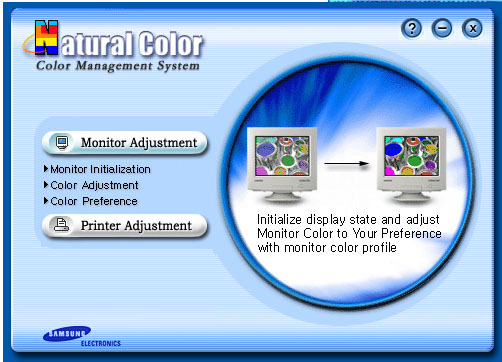 I disconnected my current Gateway CRT monitor that is about 5 years old and moved it aside to make room for the new beauty. 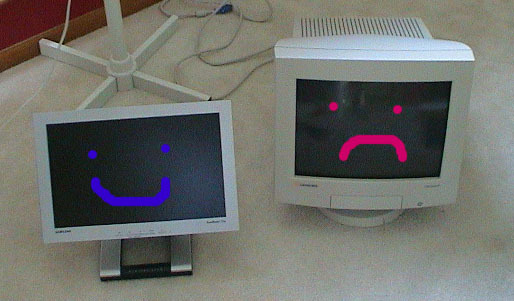 Please note that monitors don't actually have faces. 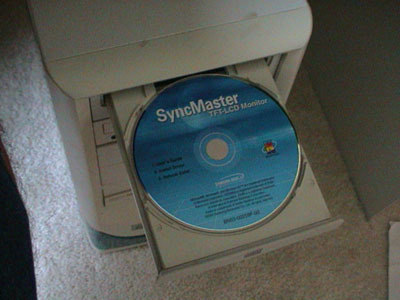 Make way for the SyncMaster. 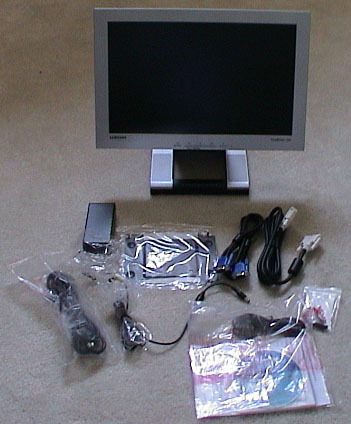 Once I had the SyncMaster in place, I simply connected the input cable to my video card and plugged in the power cord. I then booted up my computer and the pixels came to life. Once windows was loaded I popped in the driver disc.